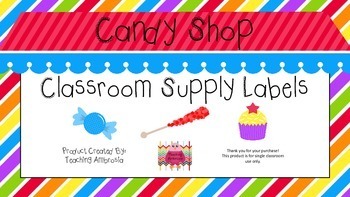 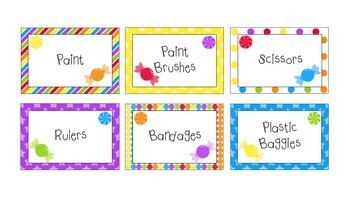 This product is a set of colorful candy shop themed classroom supply labels. 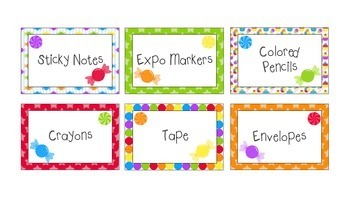 There are 63 labels sure to help you and your students stay organized all year long! There are blank labels included so you can make your own labels.